Golden brown baked chicken in vacuum pack. 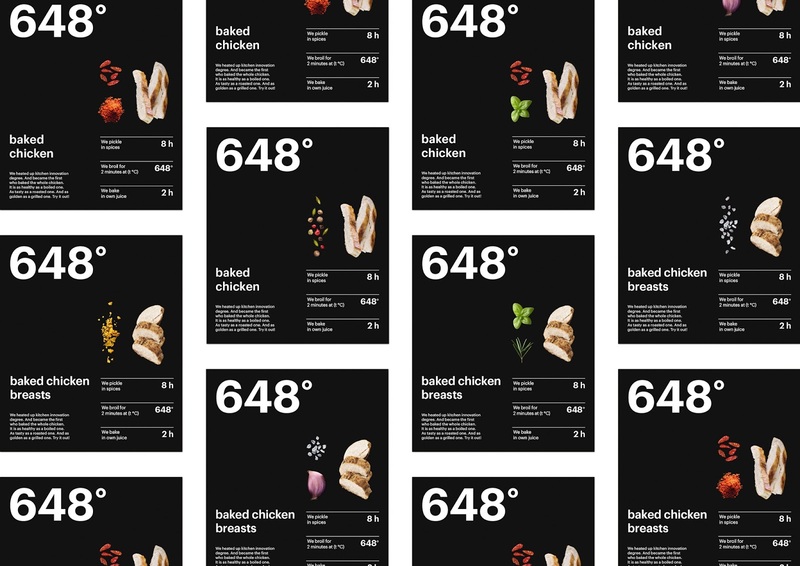 Brand and packaging design development for baked chicken. Conceptually new product in the market with no analogs available in Russia. As healthy as a boiled one; as tasty as a roasted one and as golden as a grilled one - this chicken should have created a new niche. The main problem was, indeed, the strength of the product – its unique nature. Packaging on its own should have come up with specifics and benefits of the product as the budget did not cover any additional communication. Clearly and intelligibly transmit an idea of the unique cooking technology. 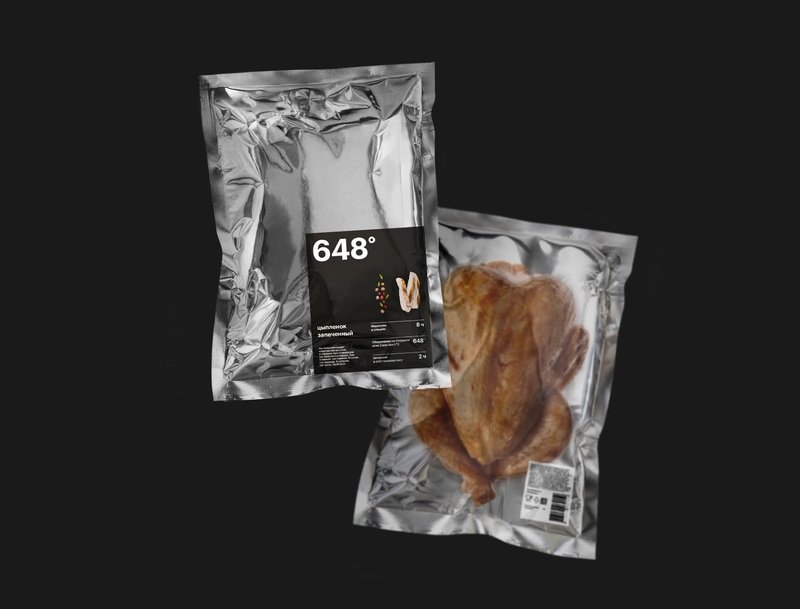 At first chicken is baked in its own juice and then is put into infrared high-temperature behavior tunnel – this provides golden brown. Tune away of the mass-market grilled chicken – it has way too negative image of down-market good. Chicken is believed to be a healthy product. It is low-fat and rich in protein, low-calorie and rich in polyunsaturated fatty acids and amino acids. However, few people know that said above is relevant to boiled chicken only. Or to baked in its own juice. Target audience of the product – are above-average income people who live an active life and have no time to cook. This being said, they still care a lot about their health – so, sausage products and grilled chicken do not meet their requirements. A niche of healthy semi-finished meat products was empty. Crisis changes culture of consumption. The poor have to stop consuming some types of products and choose down-market brands. However, for middle and above classes health is one of the key values and they do not economize on it. The target audience does not shift the market basket consumption bar but just becomes more selective when it comes to shopping. 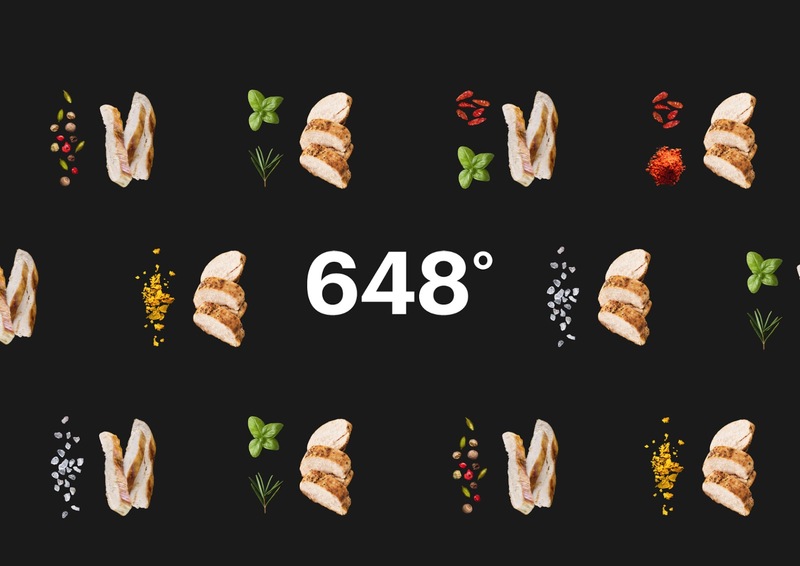 The brand was offered a functional “character” name– 648 degrees. At this temperature, the product spends 3 minutes in infrared tunnel what allows having golden brown without using oil or grill. 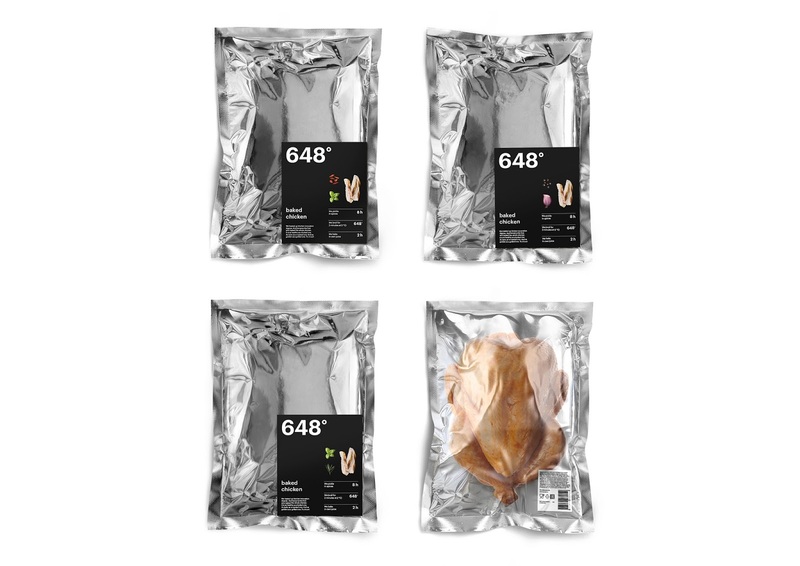 The chicken packaging became equally functional. The main communicative effect is achieved in this case not even by the label but by the innovative pack sheet. It is foil. 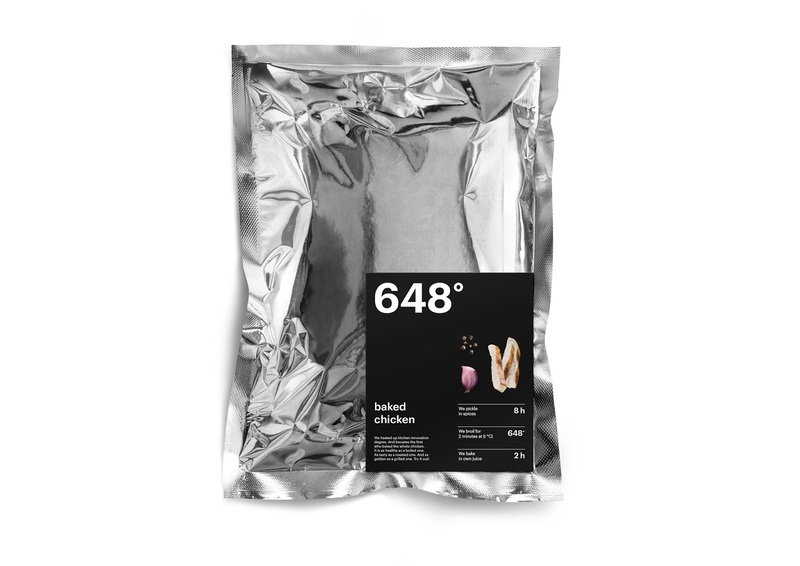 On the one hand, the material underlines cooking technique – it is widely used for baking products at home; on the other hand, it demonstrates an innovative nature of the brand – the product looks very much up to time. The label continues this actual set design vector. 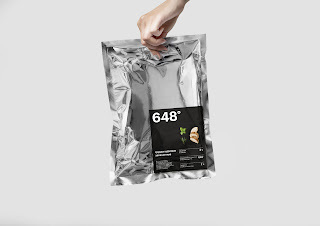 Moderate black color perfectly contrasts with the main material and laconical layout distinctly transmit a message about cooking technology and ingredients. — Increase in sales due to “word of mouth” effect and customers’ activity in social networks – many people shared pictures of the unusual product.